Maryann Ridini Spencer hosts the award-winning television series Simply Delicious Living with Maryann® broadcast weekly to over 18 million homes on PBS-TV (KVCR-TV), DirecTV & DishTV&to over 6 million readers monthly Online at Ventura County Star.com part of the Gannett/USA Today Network (SEARCH: Simply Delicious at VCStar.com). In her experience as a journalist, private caterer, event planner, and recipe developer for national and international brands (Jarlsberg USA, Woolwich Dairy, Beanitos, Garlic Gold, etc. 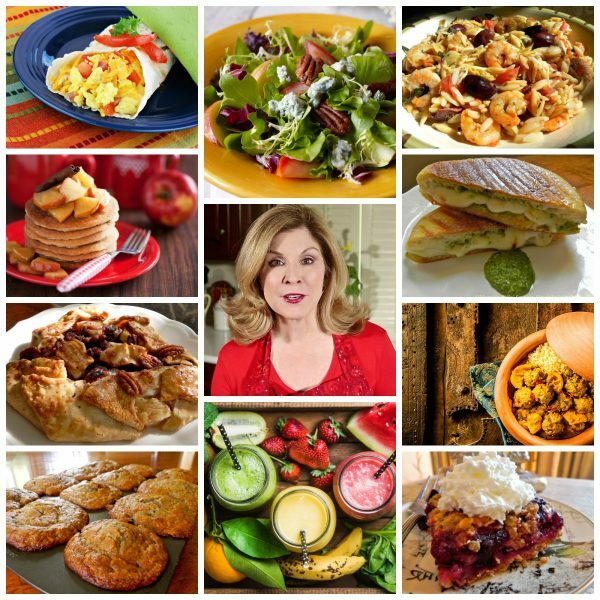 ), Maryann is known for her simple, fresh and delicious recipes made from natural, organic ingredients, as well as her passion for decorating, entertaining and crafts. Maryann developed the concept for the award-winning TV series, Simply Delicious Living with Maryann®, (PBS Television, DishTV, DirecTV, YouTube, Roku & other media), as a culmination of her passions for writing, home, and hearth, as well as creating the delicate balance between her personal and professional life. The series has won numerous awards including two 2017 WAVE Awards (Best TV Series & Best Instructional/DIY Series). In 2013 and 2015, Spencer was presented with a CAPS Media Award for show excellence. Maryann’s SimplyDeliciousLiving.com blog is also the recipient of the 2016 W3 Silver Award for Website Excellence. Watch more Simply Delicious Living segments on YouTube. Simply Delicious Living is all about creating YOUR special WHOLE LIFE RECIPE to live your best life. How do YOU create a life of harmonious balance in order to live life to the fullest? It starts with what you eat, how you move, what you think and believe, and what you create. Because we are all energetically connected to one another and to Mother Earth, as part of the Simply Delicious Living recipe, which incorporates how we live and how we care for our world, Maryann’s blog also offers joyous and sustainable living articles, tips, inspirations, and PODCASTS. 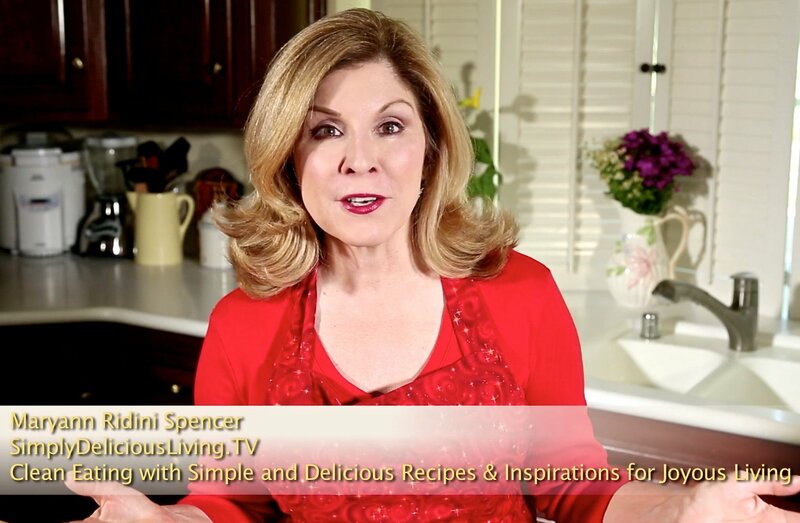 Watch Simply Delicious Living segments on YouTube. Watch the show on CAPS TV, Channel 6, in Ventura, CA. The show is broadcast multiple times throughout the week. Check the CAPS MEDIA schedule for dates and times. The Simply Delicious Living Cookbook, VIEW. 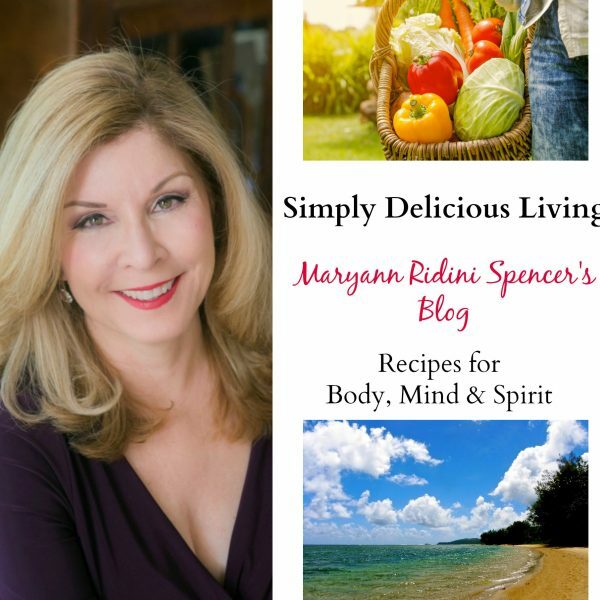 Simply Delicious Living with Maryann® is a Ridini Entertainment Corporation Production.